When Sydney woman Marnie Ogg recently won the International Dark Sky Defender Award, she became one of only five people around the world, and the very first Australian, to be recognised for her work in preserving the night sky. Preserve the night sky from what, you may ask. Well, it’s all about light pollution, an underrated scourge of the modern era. According to the International Dark Sky Association darksky.org, as more and more artificial lights overpower the darkness, most of us live in light-polluted skies so we’re unable see the night sky as it truly is. When you’re away from city lights the night sky is breathtakingly beautiful – it’s a source of wonder, a balm for troubled souls, an inspiration for artists, writers and composers, a playground for stargazers. And of course the night sky is the workplace of astronomers, whose ongoing research not only expands our knowledge of the universe and thus ourselves, but whose day-to-day work plays a critical role in the development of technology, in navigation, interpreting weather patterns and so much more. But protecting the night sky from light pollution is not simply for the sake of advancing astronomy. It has other significant benefits, including reduced power consumption, which is good for both the environment and our hip pockets. The International Dark Sky Association says the installation of efficient quality outdoor lighting could cut energy use by up to 70 percent – that’s massive – thus saving billions of dollars while simultaneously cutting carbon emissions. As well, reduced light pollution helps to preserve wildlife habitats, especially those of nocturnal creatures. According to Jeffrey Kluger, artificial lighting around waterways attracts insects, which are then eaten by predators. This might sound negligible, but it has seriously damaging repercussions on ecosystems. Migrating birds can lose their way as artificial light interferes with the natural starlight. o sea turtles as hatchlings move towards the light rather than the sea, making themselves easy targets for predators. And so it goes. Scientists hold deep concerns at the level of bird, insect and animal fatalities resulting from the skyglow of cities. Now what about us? A reduction in light pollution also results in improved mental and physical health for we mere humans. It seems we’re putting our long-term health at risk by playing havoc with our circadian rhythms and increasing our chances of suffering from sleep disorders, depression, compromised immune systems, cancer, obesity and a range of other problems. In recent times, we’ve become aware that blue light emitted from televisions and electronic devices has harmful effects on our health. Now think about how much blue light is emitted from outdoor lighting and you get some inkling of the problem of over-lighting on our overall health. Sydneysider Marnie Ogg is one of the few people around the world we trust to protect the night sky. How did she get this title, and what does she do? As a Dark Sky Defender, Marnie Ogg is working hard to make us aware of the benefits and beauty of the night sky. A former manager of the Sydney Observatory, she worked closely with local council to maintain appropriate lighting around the observatory. The result is that visitors’ views of the night sky is maximised, quite an achievement considering Sydney Observatory is almost in the middle of the city’s many thousands of lights. Marnie believes it’s about giving people an exciting experience and a greater appreciation of the night sky. She was also instrumental in achieving designation for the Warrumbungle Dark Sky Park. Near Coonabarabran in central western New South Wales, it’s the first – and so far only – Dark Sky Park in Australia. This is ideal for astronomers; in fact the astronomy research facility at Siding Spring Observatory is close by. But you don’t need to be an astronomer to go there. Here’s something that may surprise you – astro-tourism. 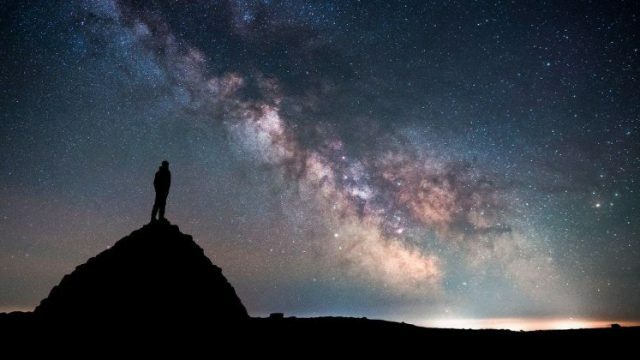 Night sky tourism is becoming popular across the globe with those keen to see the stars as they’re meant to be seen – without all that artificial light obscuring their vision. Marnie has been involved in the introduction of sustainable night sky tourism to Destination NSW/Orana Regional Development and continues to inspire an appreciation of our natural environment through her domestic and international astro-tourism ventures with her partner, eminent astronomer Professor Fred Watson. Gaming: An Enemy Or Ally Of Education?